Offering associate of applied science degrees and technical certificates upon completion of technical programs designed to meet student and employment needs. Providing educational opportunities that enhance technical experience, problem solving, communication and human relations skills. Providing relevant learning experiences supported by qualified and experienced faculty and staff, modern technology, and physical facilities designed to enhance the learning environment. Ensuring technical programs, curriculum, and teaching methodologies are continually updated through interaction with business and industry, advisory councils, specialized accreditation, certification agencies and through the assessment process. Promoting diverse opportunities for leadership and personal growth through student organizations. Maintaining a program of guidance to enhance the student’s decision-making abilities in both career and personal goals. The college will develop articulation agreements with other colleges and universities to provide seamless transfer of credits. The vision of Northwest Kansas Technical College as a forward thinking, premier leader in career and technical education is to maximize learning through progressive technology and facilities, collaborations, and professional experiences that foster lifelong learning in a diverse global society. 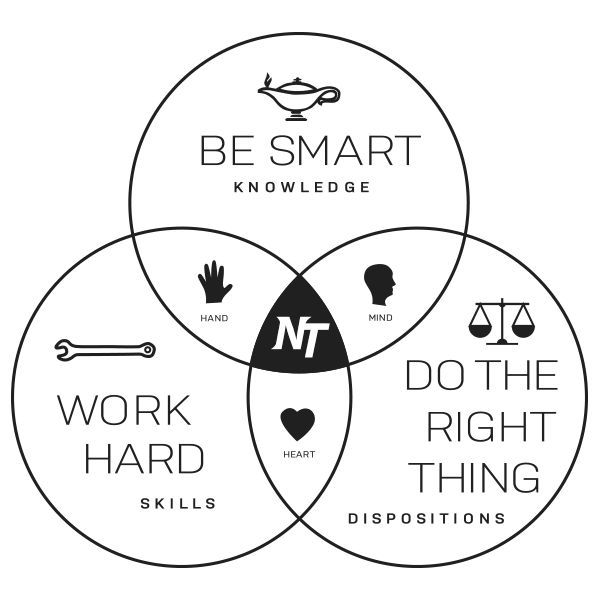 Northwest Kansas Technical College affirms the following values and beliefs as we pursue our vision and achieve our mission.